Wearing his signature black and pink, rising artist Yungblud gave exactly the kind of high energy performance it took to lift Denver music fans out of their mid-week slump. After dropping out of high school to pursue his music career full-time, the 20-year-old UK singer has made it clear that he holds nothing back for his art. Hours before the doors opened, fans were lined up and waiting patiently outside of Larimer Lounge for the chance to meet Yungblud. The singer has a reputation for taking time to talk to his fans before and after shows, and Denver was no exception. People lined up to take pictures and quiz him about the tour and what he thought of Denver. As soon as the sun set and the doors opened it was a race to see who could get the best spot for the show closest to the stage. Fans pressed up against the speakers and the lined the sides of the stage to get the best angle they could to see the upcoming acts. Just as everyone settled in to the venue, the opening band, Arrested Youth, took the stage and all hell broke loose. Frontman Ian Johnson took the mic in a red jumpsuit so bright, torn, and covered in duct tape that it was like a beacon warning the crowd to be ready for his intensity. Arrested Youth played songs from their new album, Fear, which was released last month, along with a cover of “song 2” by Blur. While many of the concert goers were unfamiliar with the group, after songs like “My Friends Are Robots,” “Black x White,” and “Mirrors,” the crowd was jumping and screaming for more. The highlight of their set came as Ian sang “The News,” a track where the chorus repeats “can't stop, don't stop, won't stop falling for it.” Even as he jumped up, stumbled, and fell back onto the drums, knocking over the cymbals, the band played on. After a quick interlude, Yungblud ran on the stage to a crowd who was just as eager and energetic as he was. Fans of the upcoming artist sang the lyrics right back at him when he opened with the titular track from his debut album, 21st Century Liability. 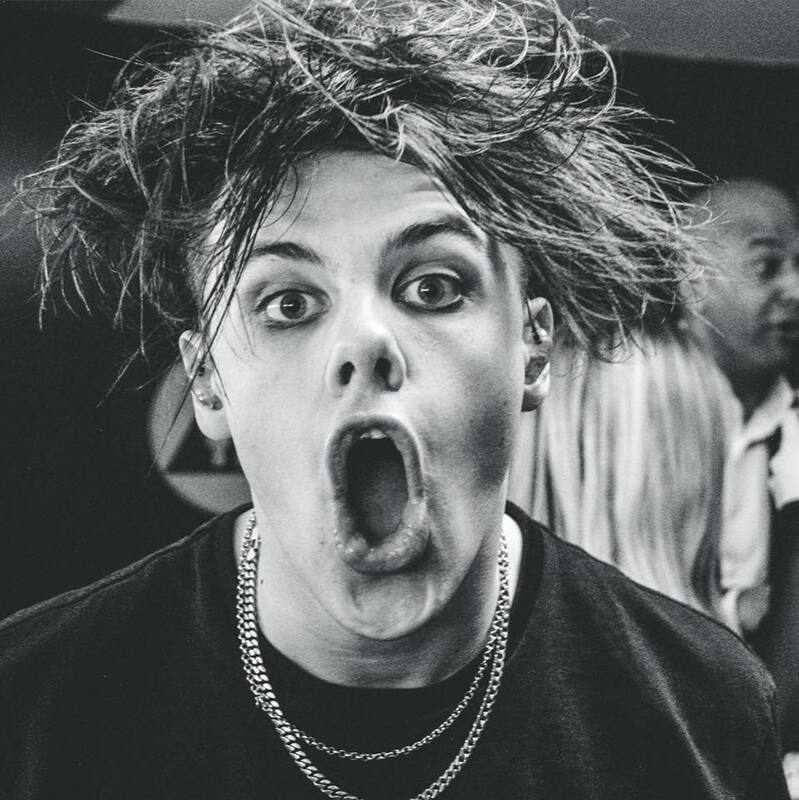 Before the crowd could stop their thunderous applause, Yungblud went right into his most streamed song, “I Love You, Will You Marry Me.” As the night went on Yungblud kept the energy high and the volume even higher. Fans were cheering non-stop as he matched his lyrics with high kicks, shimmies, and hip rolls. By the time the first half of the show was done, the solo artist was drenched in sweat and the crowd was drenched in water that he had sprayed from the stage. Much to fans’ surprise, and enjoyment, Yungblud then went on to play an unreleased track called “Loner” as part of the set. Shortly after that, the singer and crew left the stage before returning from backstage for an encore. They played three more songs before ending the night with “Die for the Hype,” a fan favorite. After the show, fans lined up to meet Yungblud and Arrested Youth backstage and to purchase merchandise. Yungblud’s US tour continues on the east coast October 9th, where they will be performing at the High Watt in Nashville. Keep up with YungBlud here.